May 12th Show : Blog Of The Nation In the first hour of Talk of the Nation, protecting residents in assisted living facilities, and what to expect next from Al Qaida. In the second hour, the authors of Born in Africa discuss the origins of man, and Ruben Navarrette on what Latinos need to do to make their voice heard. 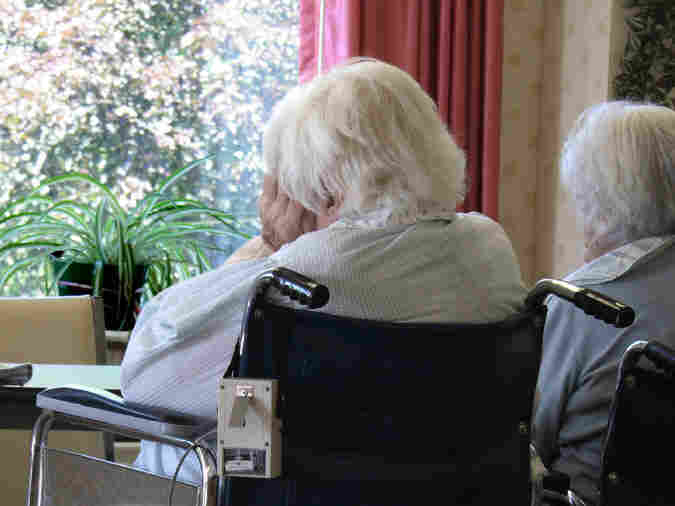 Florida was one of the first states to regulate assisted living facilities, establishing landmark legislation to protect some of the state's most vulnerable citizens. Yet, a year-long collaborative investigation by The Miami Herald and member station WLRN raised questions — about cases of abuse and dozens of deaths in Florida facilities. As the industry grows, Florida's enforcement system has failed to monitor sometimes shoddy operations, investigate dangerous practices and shut down the worst defenders. With an aging population, Florida often serves as a bellwether for issues that may soon face other states. Neal Conan talks with Michael Sallah and Kenny Malone — two of the reporters who worked on the investigation — about the state of care for people in assisted living facilities. Osama bin Laden's death has left many experts to speculate whether or not al-Qaida's capacity to orchestrate terrorist attacks is permanently weakened. U.S. intelligence officials say materials seized from bin Laden's compound indicate he remained key to the organization's functioning until his death, while others argue that the terror organization's influence was already waning. John Arquilla teaches in the special operations program at the U.S. Naval Postgraduate School, and writes in Foreign Policy that it would be unwise to write off the al-Qaida threat. Bin Laden's death, he argues, may actually facilitate the organization's transition to a web of loosely organized cells that can still do a great deal of harm. Arquilla talks with Neal Conan about the future of al-Qaida, and how counterterrism efforts should adjust to a post-bin Laden world. For years anthropologists and archeologists believed humans evolved in Asia. A number of young, new scholars though, discovered remains in sub-Saharan Africa in the early 20th century but faced contempt from colleagues and attempts to publicly discredit their work. In his new book Born in Africa author Martin Meredith details the personal battles and breakthroughs in the search for the origins of human life. Host Neal Conan speaks with Meredith, who also wrote "The Fate of Africa" about the history of cut-throat academia and anthropology.